On March 20, Washington’s Economic and Revenue Forecast Council released their updated projections. The council expects the state to take in an additional $307 million in general fund revenue collections during the 2017-19 biennium than was projected when the biennial budget was adopted. Additionally, revenues are projected to be about $550 million higher for the general fund in the 2019-21 biennium than was previously projected. In total, an additional $850 million in expected to be available for the upcoming budget process than previously thought. 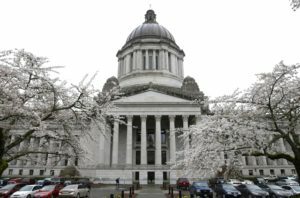 Revenue collections are beating expectations and Washington’s economy is still outperforming the national average, but not by as much as has been the case in recent years. Year-over-year revenue growth is expected to continue through the next biennium, but the large revenue growth we have come to expect in recent years is expected to grow at a more modest pace over the next four years. When the updated budget proposal is released on March 25, we will have a better sense of how expenditures and caseload expectations will change the expected costs for the upcoming budget cycle. The Republican and Democratic caucuses in the legislature have differences in how they are viewing the revenue forecast and how this positions the state as we look to pass a biennial budget in the coming weeks. You can watch Revenue Forecast meeting here. The revenue forecast only looks at projecting how much revenue the state is expected to collect – it doesn’t account for how costs are expected to change over the same horizon. So any revenue forecast needs to be taken with a grain of salt.